I seem to be on a roll with the cookies. First of all, last week I made madeleines (well, almost) for the first time in my life using Dorie’s recipe for Honey-Spiced Madeleines. Dorie describes her recipe as “not your typical madeleine” and at the time it felt a bit backwards to be making the “not typical” madeleines before I had ever attempted to make the typical ones. In essence I had no benchmark to compare them against, how the heck was I even supposed to know that I had done them correctly? It just didn’t feel right. 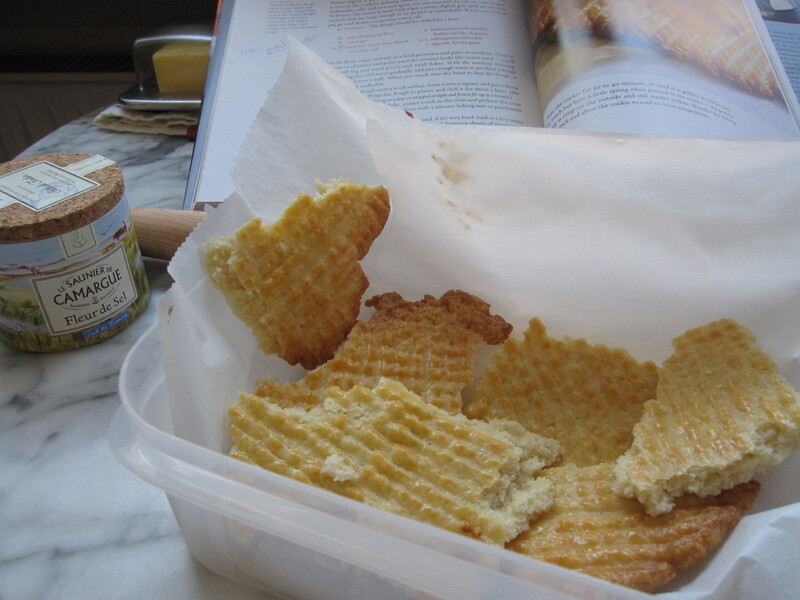 So this week I pulled out Dorie’s Baking: From My Home to Yours book and made her Classic Madeleine recipe. 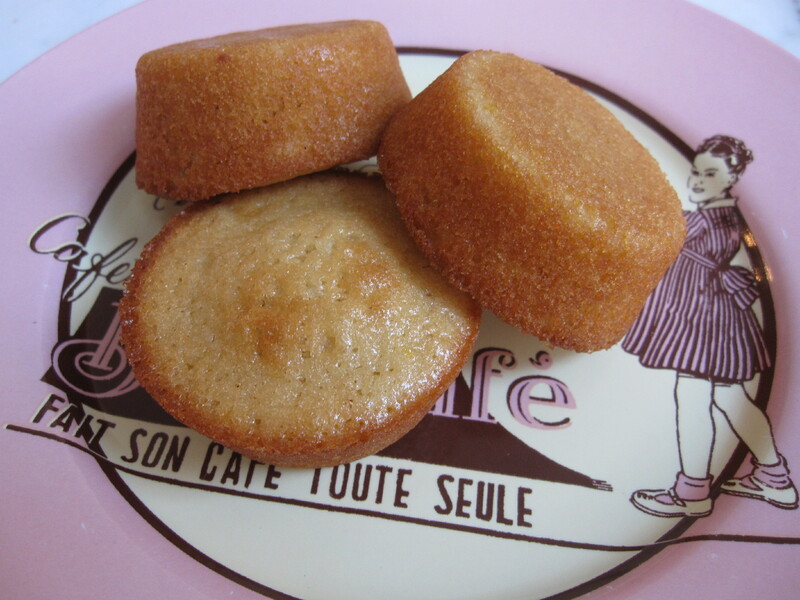 Actually, since I do not own a madeleine pan what I made was classic madeleine flavored tea cakes. But setting semantics aside for a moment, these were delicious! I may not have been entirely convinced by the honey-spiced madeleine recipe, but I will definitely make the classic recipe again. And then, because apparently one can never have enough cookies, I decided to make Dorie’s Salted Butter Break-ups. 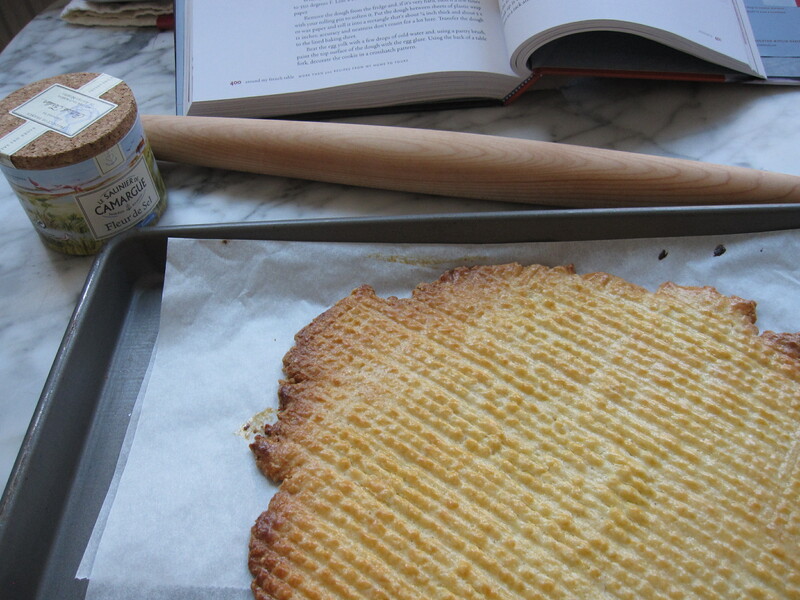 Actually, I have had my eye on this previously completed French Fridays with Dorie recipe for a while, but baking for a household of two is a bit tricky. I have nothing against dessert (as is probably already abundantly clear by this point in the post) but I do not like to have mounds of leftover sweets and baked goods lying around, tempting me every time I enter the kitchen. Thus I always find myself trying to halve or even quarter the dessert recipes and then somehow get the leftovers out the door once I have had my portion. So when we were invited to bring something sweet to a friend’s house for a small get together, I thought it would be the perfect opportunity to get this one checked off the list. This is unlike any cookie I have ever made before. The flavor and texture is somewhere between a sugar cookie and a Scottish shortbread, but with a perceptible hint of saltiness. And instead of being served up in cute little cookie form, the dough is cooked into one big sheet which is then broken up into pieces. All in all I liked this one. It had way more taste than the meagre list of ingredients would suggest and it was much less time-consuming than baking batch after batch of drop cookies. However, the cookie did not hold up well and had acquired a slight stale taste after only one day. This fact alone will likely keep me from turning to this recipe very often. I hear ya! I also have to fight the urge to bake constantly. I’ll get a little craving for something sweet and bake an entire cake which I then have to figure out how to get rid of before I eat the whole darn thing! What a sweet post of baked goods. I’m glad you had at least one day of tasty times with the salted butter breakups. Your classic tea cakes look beautiful. I want to try making the classic madeleines. You also did a perfect job on your salted butter break-ups. Those cookies were so fun to make! You did a great job with the butter break ups…i found it hard to make the cross hatch pattern and yours look perfect! One of the benefits of baking these cookies after everyone else is that I read all of your lovely posts and learned that I would need to really press the dough in order to get a nice cross-hatch pattern. So thank you! I love the concept of break up cookies because then they don’t have to be perfect. And since nothing comes out of my kitchen perfectly I can totally do this! Your salted butter break ups look devine – makes me want them all over again.